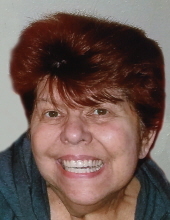 Donna J. Gerst, 72, of Waterloo died Tuesday, December 4 at UnityPoint Allen Hospital. She was born July 1, 1946 in Marshalltown daughter of Wilbur G. and Dorothy Benson Rainsberger. She married David J. Botts in Marshalltown and they were later divorced. She married Richard L. Schrock May 25, 1973 in Morristown, Minn. He died December 2, 1994. She married Gary L. Gerst March 3, 2000 in Waterloo. She graduated from Marshalltown High School and was a service representative with Northwestern Bell Telephone and later was an insurance agent for PDCM and State Farm. Survivors include her husband, Gary; two sons, Shane R. Schrock and Troy (Denise) Gerst of Waterloo; five daughters, Jamie J. (Harvey Johnson) Holtzman, Tracy L. (Steve) Dilley, Tammy (Scott) Laughlin and Shane (Tony) Barker all of Waterloo and Robin (Dave Whiteman) Donahue of Evansdale; 11 grandchildren and five great-grandchildren and a sister, Joanie (Joe) Reuter of Denver. Preceded in death by her parents; her step-father, Max Ryan and a daughter, Lori Lynn Gerst. Services will be 11:00 a.m. Saturday, December 8 at Hagarty-Waychoff-Grarup Funeral Service on West Ridgeway with burial in Garden of Memories Cemetery. Public visitation will be from 9:00 – 11:00 a.m. on Saturday at the funeral home. Donna was a huge Cubs fan and loved her total family and her church family at Heartland Vineyard Church. To send flowers or a remembrance gift to the family of Donna Jo Gerst, please visit our Tribute Store. "Email Address" would like to share the life celebration of Donna Jo Gerst. Click on the "link" to go to share a favorite memory or leave a condolence message for the family.